Interested in joining us at MWC? Mobile World Congress is round the corner! We’ll be in Hall P3 and can’t wait to see those of you that can make it there. So we’re giving away tickets! Instead of us telling you what we’re excited about, we want to hear from you. 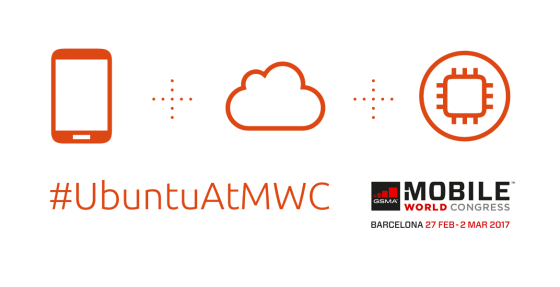 In one tweet, tell us a cool story about what you want to see from Ubuntu at MWC across Cloud, Devices or IoT using the hashtag #UbuntuAtMWC – feel free to use images and GIFS! And we’ll give away ten tickets to the answers that rock! Entries open 5th Jan and last for a week till 12th January. Happy tweeting!